This is so much like our cat when we found our kitten. Awesome! Ah! Poor kitty! Though, this was sort of how Tiger and Neko was before they became best pals. We had an older cat who would do that. Uno would sit in the kitchen with her tail twitching, Peaches would come up to bat at the tail and she would send him rolling across the floor. 8 years later he is twice her size and still scared of her. 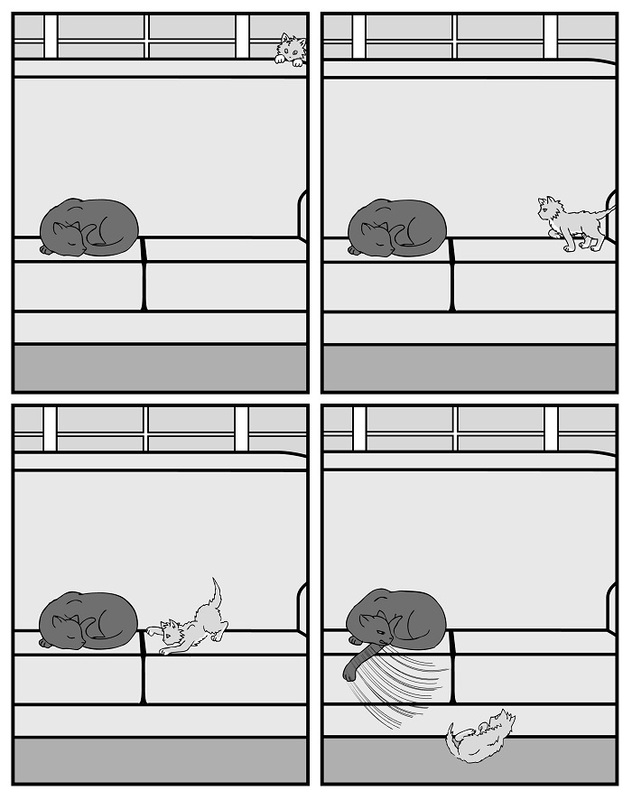 I had a cat that did that to the dog, a lab. Freaking hysterical. But, when it comes to the yarn, you know they will ‘gang up’… Heh. There will be no playtime!